Powerful Engine: The SOHC engine is the perfect example of the advanced engineering techniques used by Husqvarna motorcycles offering class-leading HP at an overall weight of just 61.3 pounds. Mass-centralization is key in the engine design, enabling chassis engineers to position the engine closer to the center of gravity for optimal handling and maneuverability. DDS Clutch: The FX 450 features a Dampened Diaphragm Steel clutch, which includes a single-diaphragm steel pressure plate instead of traditional coil springs. It integrates a damping system for better traction and durability. The clutch basket is a single-piece CNC-machined steel component that allows the use of thin steel liners and contributes to the compact design of the engine. 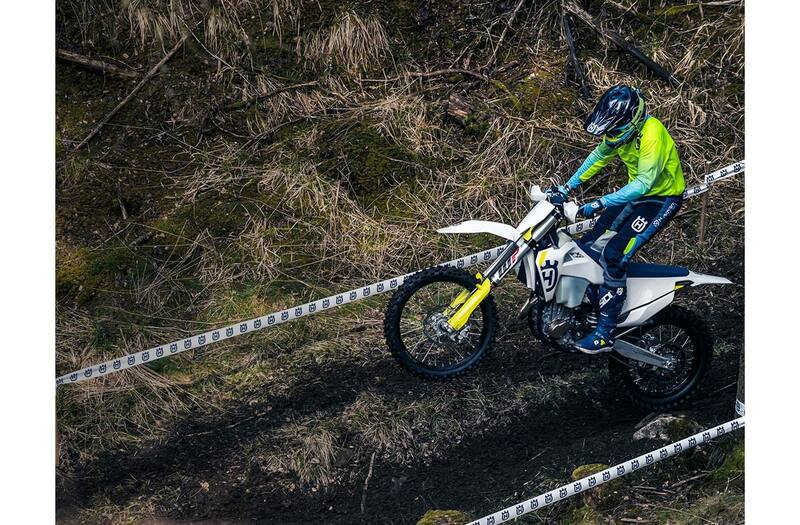 Functional Bodywork: New for 2019, the bodywork on the offroad range showcase Husqvarna Motorcycles pioneering Swedish design. The ergonomics have also been tailored to deliver greater comfort and control, enabling riders to perform at the highest level for extended periods of time. After numerous tests, the contact points have also been slimmed down for seamless movement between riding positions. Wheels And Tyres: Made from high-strength alloy rims by D.I.D and featuring CNC-machined hubs, the wheels of the FX 450 are fitted with DUNLOP GEOMAX tyres with proven design for progressive cornering and superior grip on a variety of terrain. Map Switch: A mapping switch as standard serves multiple functions. It can be used to initiate launch control, allows riders to toggle between 2 engine maps or activate traction control. Both traction control and launch control feature an updated setting for improved traction on slippery trails for better handling and quicker launches. 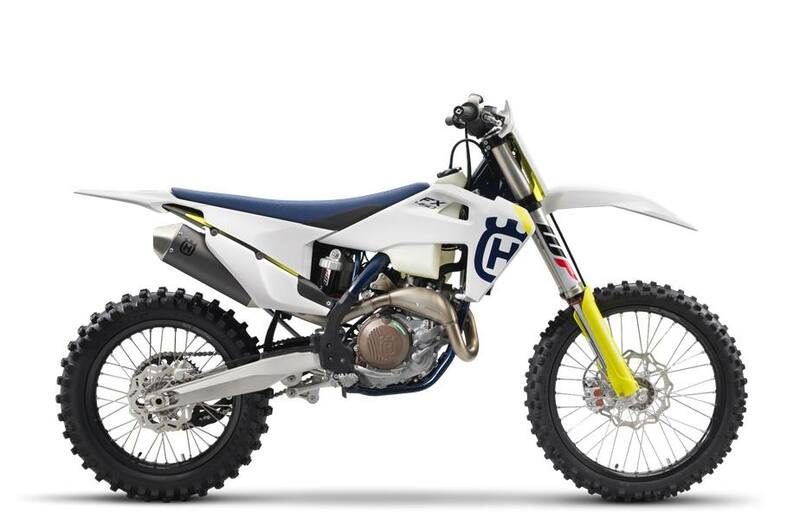 44 MM Throttle Body: The FX 450, like the rest of the 4-stroke motocross range, features a 44 mm KEIHIN throttle body and injector system that ensures optimal throttle response. Throttle response is also improved thanks to a more direct mounting forgoing a throttle linkage. This has allowed for new throttle cable routing, which makes for easier maintenance and less wear and tear. Electric Start And Li-Ion Battery: A new generation Li-Ion 2.0 Ah battery has been fitted to the FX 450, weighting 1 kg less than a conventional lead battery. This adds additional weight saving to the overall bike weight. Additionally, the electric start makes for quicker restarts in the event of engine stalling.